Each year, more and more Americans begin to explore their legal Super Bowl betting options. Billions of dollars are spent on the championship event each year, and according to the American Gaming Association, the majority of these wagers are placed on the internet. Offshore sports betting sites have grown in popularity when it comes to betting on the Super Bowl. You can preview thousands of Super Bowl betting lines just by visiting an online sports betting site. Even with the millions of sports fans that use online sportsbooks, many citizens still have questions when it comes to this form of legal NFL betting. Once you understand the legality of Super Bowl betting, you can start placing wagers at any of the top online sports betting sites. There are certain federal laws for sports betting that are worth knowing, though you may be surprised at how little of a direct impact they have on your online sports betting experience. After discussing laws, we can walk you through how to place legal Super Bowl bets online and what your options are for wagering. You will be equipped with everything you need to know about legal Super Bowl betting. There are no current NFL Playoff odds posted, as the season has just come to a close with a familiar outcome: For the 6th time in 17 years, the New England Patriots have won the title tilt. However, though we will all have to wait a while for the betting market to get back into NFL mode (the season is slated to start on September 5, after all), there are a few new futures wagers to consider. Right now, all the top offshore sports betting sites have the defending-champion Patriots as overall favorites to repeat, but other teams are definitely in the mix for the Super Bowl LIV crown. These include the other top clubs from 2018, as the Rams, Chiefs, and Saints are all trending right at the top of the list. Somewhat surprisingly, the Chargers and Colts are right there with them, after stellar bounce-back seasons from both Philip Rivers and Andrew Luck. Last year’s defending champs, the Eagles, round out the top ten lines on most futures boards. Just remember, if you see a wager you wish to go on, make sure you put it in ASAP, as these odds will only get tighter – and pay out less – as the season nears its start date later this year. Is It Now Legal To Bet On The Super Bowl Online In The US? The question of is it legal to bet on the Super Bowl Online in the US comes up quite frequently amongst sports fans. The answer is yes, you can enjoy legal NFL betting at brick and mortar sportsbooks or online sports betting sites. There are no federal laws that ban betting on the internet or placing sports bets online. The former Professional and Amateur Sports Protection Act (PASPA) did limit single-game sports betting to Nevada for decades, however, the law was overturned in 2018. The federal sports betting laws that currently exist only target sports betting operators. For example, the Unlawful Internet Gambling Enforcement Act of 2006 (UIGEA) prevents US financial institutions and payment processors from knowingly accepting transactions related to online gambling. The law does not make internet gambling illegal, and it does not apply to or even mention those individuals placing the bets. The Wire Act of 1961 is another federal law that does not penalize sports bettors. The Act prohibits those in the business of gambling from using wire communications to accept sports wagers or assist with the placement of such wagers across state lines. Again, there is no mention of the casual bettor, only businesses that engage in interstate betting operations. While the federal laws do prevent unlicensed online sports betting sites from doing business in the US, if your state doesn’t have its own online sports betting industry up and running, it is completely safe to use offshore sportsbooks that are regulated in other countries. These sports betting sites are licensed to accept players from the US, meaning you can legally bet on the Super Bowl at any reputable site. Bovada is the most popular sportsbook in America, and it has been a trailblazer since the industry was born. Many other books use Bovada’s published lines as the basis of their own, and many media services quote Bovada’s numbers like gospel. And for good reason! When it comes to Super Bowl action, no site does it better than Bovada, and new members who sign up now can take advantage of Bovada’s exclusive, low-rollover $250 Sports Welcome Bonus to put towards their Big Game bankrolls. Bovada also offers a massive $5000 Bitcoin/Bitcoin Cash bonus for those who wish to gamble with cryptocurrency. SportsBetting is another industry stalwart, also having been around since the beginning. While the site offers all the odds, lines, and action you expect (and offers plenty of alternate lines that may interest members of other top sportsbooks – always shop around! ), SportsBetting really shines when it comes to their many deposit options. They accept Visa, Mastercard, American Express, Bitcoin, Bitcoin Cash, Litecoin, Ethereum, DASH, money orders, cashier’s checks, bank wires, and more. However you wish to fund your Super Bowl betting account, SportsBetting has you covered. Plus, new members automatically qualify for up to $1000 in Welcome Bonus rewards and the site’s excellent Bonus For Life program. Before you can start placing bets on the Super Bowl at a legal sports betting sites, you will need to fund your sportsbook account. There are a variety of legal sportsbook deposit methods for Super Bowl betting that you can choose from. Each legal NFL betting site will have options that vary in processing speed, fees, and deposit limits to fit your individual needs. Some of the fastest legal sportsbook deposit methods include Visa, MasterCard, American Express, and Bitcoin. Of these options, we would suggest using Bitcoin to bet on the Super Bowl. The digital currency is extremely fast and also carries no additional fees. Within as little as 15 minutes, your funds will reach your sports betting account. Many bettors prefer Bitcoin because instead of providing bank account or credit card numbers, you only need to transfer funds from your Bitcoin wallet to that of the online sportsbook. Bitcoin also has higher limits than most of the other legal deposit options, aside from bank wires. Bank wire transfers are best for high rollers because there is no limit to the amount that you can deposit. Moneyline – Placing a bet on the moneyline is the simplest and most straightforward bet that you can make. 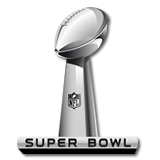 You are betting on which team you believe will be the outright winner of the Super Bowl. Point Spread – Betting on the point spread is the most popular type of legal NFL betting. A point spread will be assigned to both teams in order to level the action for both sides. If the point spread for the San Francisco 49ers is set at +4.5, the team would need to either win outright or lose by 4 points or less. If the point spread for the Baltimore Ravens was set at -4.5, the team would need to win by 5 points or more to cover the spread. Totals - Totals are also known as over/under bets. With this type of legal NFL betting, the online sportsbook will set a total number of points to be scored in Super Bowl. You will wager on whether the total points scored by both teams will be over or under this amount. As the Super Bowl draws closer, online sportsbooks will offer more NFL prop bets than any other time throughout the year. Betting on the outright winner is popular, but prop bets give you the opportunity to wager on various scenarios that could occur during the game. Super Bowl prop bets will typically fall into one of three categories – team props, player props, and game props. Team Props are those that focus on how a specific team will perform. Some examples of team props would be the over/under on total points scored in the first half by the New England Patriots, will the Seattle Seahawks score in the first 7.5 minutes, or will the Atlanta Falcons score the first touchdown. =Wagering on the Super Bowl is fun, but actually winning cash is even better. When it comes time to collect your winnings, legal Super Bowl betting sites make it easy to request a payout. You can visit the Cashier page of your account to see a list of available sports betting withdrawal options. We recommend using Bitcoin to withdraw your earnings. Not only is this the fastest legal payout method, it is also the most reliable. There are never any added fees charged, and you only have to provide your BTC wallet address to receive your funds, which you should usually get within just a few hours. If you are looking for options outside of Bitcoin, other payout methods may include checks, bank wires, MoneyGram, and Western Union, though these can all take between one and two weeks to process and show up in your personal account. You will likely come across American betting odds most often at legal Super Bowl betting sites that cater to USA players. With American odds, the favorite will be designated by a (-) while the underdog will be designated by a (+). When betting on the favored team you will have to risk more than your potential win, and when wagering on the underdog your potential win will be more than your stake. If you were to bet on the favored New England Patriots, you would need to risk $165 in order to win $100. As the Dallas Cowboys are the underdogs, you would only need to risk $100 to win $135. The key point to remember when reading American betting odds for legal NFL betting is the concept of the favorite (-) versus the (+) underdog. Legal Super Bowl betting sites will offer tons of exclusive bonuses and promotions come NFL season. You will find that there are huge deposit bonuses that will match your deposit amount by a certain percentage. These bonuses can be used to bet on the Super Bowl and any other sport that you may be interested in. This can be especially useful if you are looking to add other sports to a parlay bet. Bonuses will be available for new players and those that have used the online sportsbook before. When you join an online sportsbook to wager on the Super Bowl, always check out the Bonuses page to instantly increase your bankroll. Live betting on the Super Bowl is when you place bets as the action unfolds. Legal Super Bowl betting sites will update the odds after each play in the game. Considering that New England ran 93 plays in Super Bowl LI, for example, you can imagine how many wagering opportunities live betting presents. Some of the betting options will include adjusted moneylines, even and odd props, game totals, player props, team totals, and more. Live betting is fast paced and you never know how the odds will change from minute to minute. Is It Legal To Bet On The Super Bowl From My Phone? Yes, it is legal to bet on the Super Bowl from your phone. Mobile Super Bowl betting gives you more flexibility in where and when you can place your bets. You will find the same Super Bowl betting lines on your particular service’s mobile sportsbook portal as you will on their desktop sites, and you’ll find the same wagering options, too. Legal Super Bowl betting sites make it easy to place bets from your smartphone, requiring no download to access the mobile sportsbook. Simply visit the site from your iPhone, Android, or tablet, and you will be redirected to the mobile sports betting site. 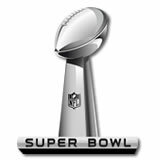 Betting on the Super Bowl from your phone is the most convenient way to wager on the go.